An increasing trend in the stem cell arena is the teaming up of clinical partners with very different backgrounds and priorities. For instance, academic institutions are more often working together with for-profit stem cell clinics. Another branch of this larger trend is the observation that some publicly traded stem cell biotechs such as Bioheart are increasingly turning to non-traditional means of raising cash such as through dubious stem cell training for doctors or other unexpected ventures. It seems that in the past things were clearer in terms of who is compliant and who isn’t, who is following the spirit of FDA regs and who isn’t, and so forth. The waters of the stem cell world are getting far muddier today as I predicted in my top 20 predictions for stem cells in 2015. It’s a somewhat radioactive topic. On the one hand such team efforts between academic and industry could be beneficial by speeding translation to patients, which is what the field needs. Cheers for that. However, on the other hand for-profit stem cell clinics and academics do not always see eye to eye on how to do things, how to report findings, bioethics, patient consent, stem cell tourism, the proper way to handle public relations, and such. Increasingly the commercialization of stem cells is making for strange bedfellows. You may recall Stemedica from the media frenzy over the last half a year on their role in the treatment of hockey legend Gordie Howe for stroke. In fact, Howe reportedly just got a second treatment from Stemedica and its partner Novastem in Mexico. I found some aspects of the whole Howe-Stemedica story to be of great concern. For example, there is some question over whether the free treatment of Howe has led to stem cell tourism via more patients traveling to Mexico for non-FDA approved interventions. Football great Bart Starr may also have recently gotten such a treatment via Stemedica as well. 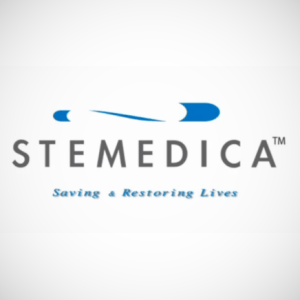 Now in principle some definite good could come from Stemedica working with academics and notably they have an FDA-approved IND for this, which is great. At the same time there may well be different priorities at work. I guess we’ll have to wait and see how it goes. Other stem cell clinics raise more concerns and claim university affiliations too. For example, earlier this year we saw an odd stem cell clinic with their NIH-like name (National Institutes of Regenerative Medicine; NIRM) turn out to be affiliated with Cell Surgical Network, the largest chain of stem cell clinics in the US, which sells non-FDA approved “therapies”. NIRM had claimed a UCSD affiliation as well, but I no longer see that apparent on their website today. Notably, Stemedica is different in some key ways from the dubious stem cell clinics we often talk about. They have a growing number of FDA-approved INDs and by all accounts I’ve heard through the grapevine that the stem cells that Stemedica produces are cGMP quality. Still their actions have raised concerns on some levels and the promotion of stem cell tourism to Mexico is a worry. Overall, as the stem cell waters continue to muddy and with essentially zero apparent regulatory action by the FDA’s CBER specifically on stem cell clinics more broadly in the last couple years, I predict it will be increasingly difficult to know what is going on with any particular stem cell offering. Instead of getting clearer, things are getting grayer. I guess we should be happy that some of these (dubious) clinics may be losing that adjective by moving in a legit direction. But likely is that they will use a minimum of credible clinical trial PR to market their non-approved products. This current move is not driven by regulators or legal challenges but my public opinion, which has changed over the last year after damaging reports on TV, in the press and on blogs such as this (and thank goodness for that!). But I’m still wondering why the people in authority are not clamping down before someone gets hurt, on someone who already got hurt is taken seriously. I am new to this blog–but find it fascinating–Could you define for me “hypoxically-grown stem cells and state ‘what stem cells’ are used for this process? Stemedica apparently cultures cells at lower oxygen concentrations. The underlying patent for its methodology, which was issued with quite minimal and vague claims, discusses the use of 5% O2 with neural and mesenchymal stem cells. Thanks—All sorts of questions arise for me. How does the low O2 environment make a difference? Their literature says they start with MSC’s from human bone marrow—whose bone marrow? How do you take these MSC’s and make them into neural stem cells or the other types of cells they use in other applications? Do they measure the telomeres or what factors are used to determine that the cells are of the “highest levels of quality and consistency”? I’ll keep reading Knoepfler’s stem cell book to gain more understanding. The whole process is truly amazing. Jeannette, these are great questions. Some of the methods may be proprietary. The general idea is that the way we have all been culturing cells for decades is actually too much oxygen for cells or hyperoxia. So what we are calling “hypoxia” now is actually closer to the physiological levels that cells live in inside our bodies. As a result it is thought that growth in this “low” oxygen (which again may be not low at all, but just low to what we are used to and room air) keeps the stem cells happier and healthier. Some people swear by this as a better way to keep cells in the best possible state.